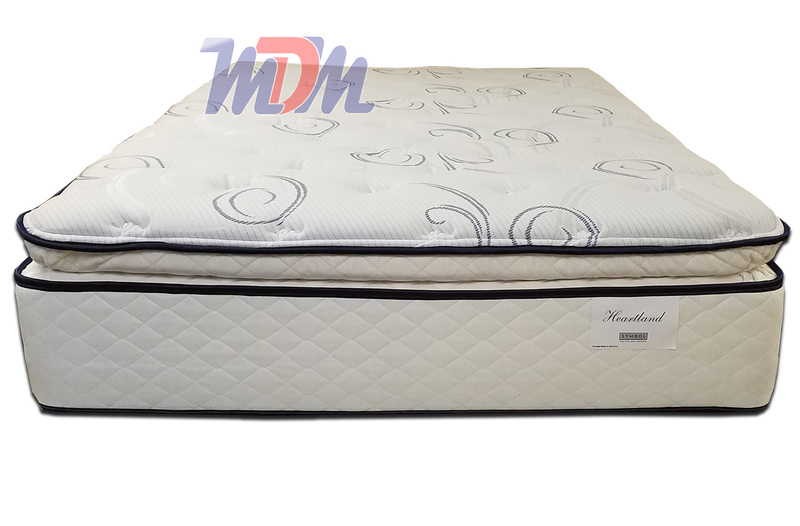 The Heartland Pillow Top is aggressively low-priced and has a great, solid mattress build and a very soft, elegantly designed pillow top. New upgraded springs for our lineup in 2018. 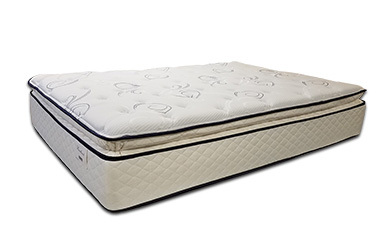 Super Soft Foam layers, Spectrum Coil support system and an overall size of 14" deep highlight this fine model. This is one of my favorite mattresses that we've had come in recently. Everything about it says "quality" and, it's a convenient option for couples. This is because it has what I'd classify as a medium level of firmness but it possesses a very luxurious pillow top that provides the cloud-like sleep and relaxation feeling that many look for in a mattress. The brand new Tri-Zone Spectrum Coil innerspring system has 20% more coils and a is laced head-to-foot to greatly reduce motion transfer across the bed. The foam encasement helps even more with motion transfer. You can tell that a lot of time and effort was put into the design of this mattress set. Even the quilting is truly beautiful. Anyone in the mid-range of price budget who likes a medium feel (or slightly softer/firmer) will be happy with this thick, well-constructed Symbol Mattresses product.